Once we had an original Roland TB303. The legendary, epic and sought after bassline from the 80’ies. … Wich we eventually sold. Stupid! 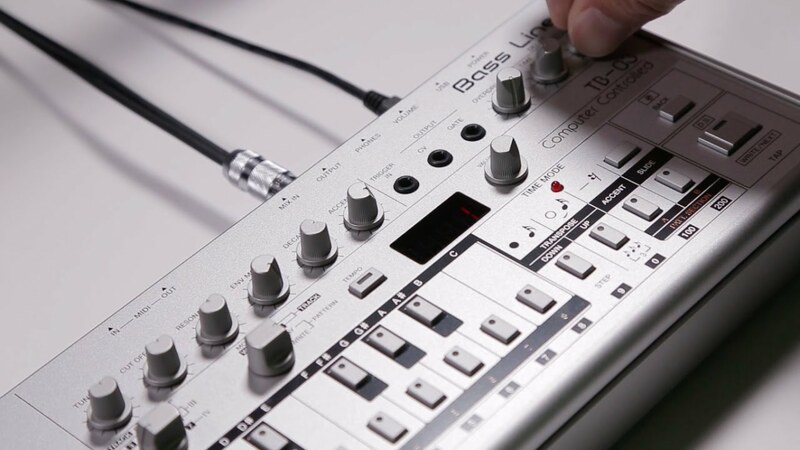 The longing for a new TB303 have been grinding for some years now, but they doesn’t excactly grow on trees anymore. And the prices has sky rocketed. Therefor, we were delighted when Roland recently released their new TB03, the updated clone of the 303, with all the old bells and whistles – and some new dings and dongs. We of course had to have one! We’re really really looking forward to play with this little fellow in the months to come. Stay tuned! Next PostLets make a studio or two! © 2019 GALAXEE. All Rights Reserved - A part of: Bassfuel – Music and management!